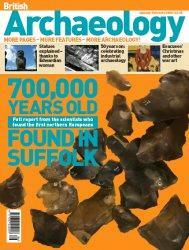 The Latest issue of British Archaeology January-February 2006) has a well illustrated 10 page article on the discovery. What did the Normans do for us? One traditional answer is bring rabbits. New evidence suggests that Romans had already done it. The butchered bones of a small Mediterranean-type rabbit have been found at Lynford, Norfolk, in a pit dating to 50BC-100AD. Our wild rabbits are thought to have evolved from Mediterranean ancestors. It is likely Romans brought them to Britain to trade, breed and eat. Coincidentally, the dig was close to another ancient butchery site - where Neanderthals had eaten mammoths. Two rabbit bones have also been found at third century AD Beddingham Roman villa, East Sussex. Every year there seems to be more hip about spending at Xmas. I really like the notion of reclaiming the Spirit of the Season from the comsumer industries. This campaign began in Canada, but has spread globally. Visit the website for resources and suggestions for gift giving alternatives. What Is Buy Nothing Christmas? Buy Nothing Christmas is a national initiative started by Canadian Mennonites who offer a prophetic “no” to the patterns of overconsumption of middle-class North Americans. They are inviting Christians (and others) all over Canada to join a movement to de-commercialize Christmas and re-design a Christian lifestyle that is richer in meaning, smaller in impact upon the earth, and greater in giving to people less-privileged. Mennonites are Christians who are community-oriented, counter-culture pacifists (at least in theory — in reality, they span the spectrums of class, economic power, political influence and accommodation to culture). Their organization is egalitarian and inclusive, with an emphasis on welcoming strangers and helping people in need at home and abroad. The life and teachings of Jesus in the New Testament are primary. They believe Jesus gave fairly clear and prosaic lessons on how to live (see Matthew, chs. 5-7) a radical lifestyle which is profoundly spiritual with a socio-economic impact. Historically, they constitute the radical wing of the 16th Century Protestant Reformation. They were persecuted by both Lutherans and Catholics for their alternative, anti-institutional, community lifestyle, their insistence that the church should remain separate from the state, that people should be baptized as adults, and that personal faith should be evident to others by a communal life that is peace-loving and concerned about the alleviating the suffering of others.